Small groups, flexibility, sense of adventure and variety of offerings. Our tour leader was very informative, solved problems very quickly, gave excellent advice, always available and was friendly to all. Khoa was an excellent guide. He was on top of everything all the time, dealing with minor problems and larger ones with ease and a good sense of humor and always concerned that we were happy and having a good time. Also I loved the wide variety of experiences, motorbike rides, bicycles, kayaks, boat stays, home stays, train rides - the list is endless. Well organized trip, lot more activities planned than I thought. Great tour guide. Start the day with a traditional breakfast of pho, a dish that originates in Hanoi, designed to awaken the senses and prepare you for the day. 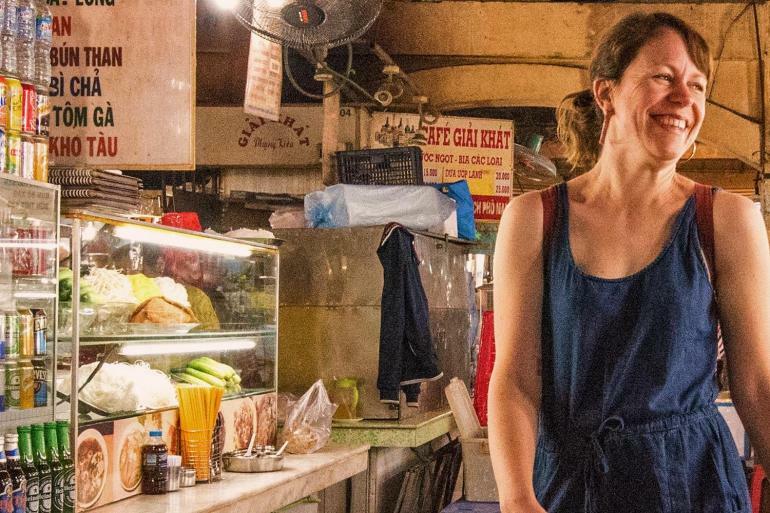 Then it's time for a guided tour of Chau Long Market, where you will learn all about the ingredients and flavours of northern Vietnamese cuisine. We will sample the local coffee, typically served with condensed milk - or for the more adventurous - egg! 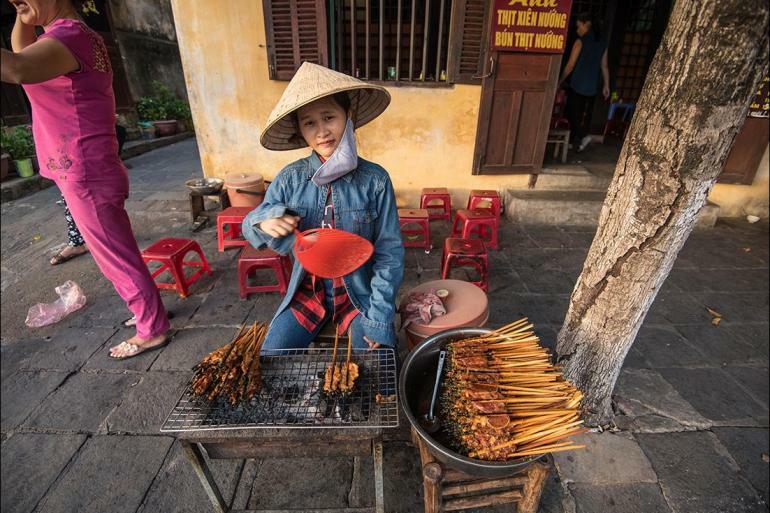 Tuck into some of Hanoi's renowned street food specialties and finish at a hidden tea house, learning about Vietnamese tea traditions from a true master. In the evening, get hands on learning to prepare northern Vietnamese dishes. Discover some old Hanoian favorites like caramel pork as well as some lesser known dishes from the highlands. Enjoy the fruits of your labour for dinner. Take a bus back to Hanoi (approximately 3.5 hours), then board an overnight train bound for Hue (approximately 12 hours). Although conditions are basic, overnight trains are a rewarding experience. It's an efficient way to travel long distances and a great way to get a sense of the country. Most trains have a dining carriage serving simple food, but some travellers take the opportunity to stock up on fresh bread, cheese and fruit prior to departure. Start your day with a guided bicycle tour of the extensive herb gardens that lie on the outskirts of town, followed by a trip to a rustic food market. This is a great place to pick up knives and other Vietnamese cooking gadgets. Head back to Hoi An for a hands-on cooking class in classic central Vietnamese dishes, followed by lunch. The rest of the afternoon is free for your own exploration.